Maggie Howe, of Prairieland Herbs, will spend the morning teaching you how to add a new dimension to writing, drawing, or painting by exploring handmade botanical inks. See the artistic potential of flowers, weeds, and berries with fresh eyes! 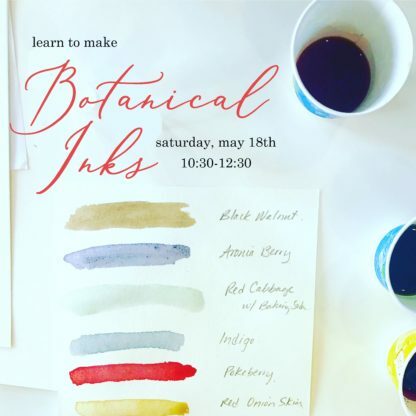 We will use a variety of botanicals to create plant-based inks and fresh plant-made paints. No art skills needed, just a desire to play and have fun. You’ll take home some freshly made plant-based art and supplies.